A heritage tractor that has sat untouched for more than four decades in the remote community of Barunga is getting a new lease on life. The 1904 Avery steam tractor was lifted to its new purpose-built resting place by Batchelor Institute construction students and lecturers after weeks of careful planning. The steam tractor has a special significance to the community, after being brought in by 18-year-old Guy Rankin and two others in 1974 from Maranboy. It was moved after the local council and Traditional Owners discussed bringing in some of the history of the nearby tin mine into the community so it can be recognised as a part of the region’s history. The tractor is thought to be one of only a handful of these models left in the country. Outside organisations have made bids to purchase the unique and valuable antique in the past. However, the local community have refused to see it relocated outside of Barunga due to its cultural significance for the area. It was a very special day for both Rankin and the community, restoring one of the most noteworthy landmarks in Barunga. “It’s the best thing ever that could have happened. I am very happy for this”, added Rankin. 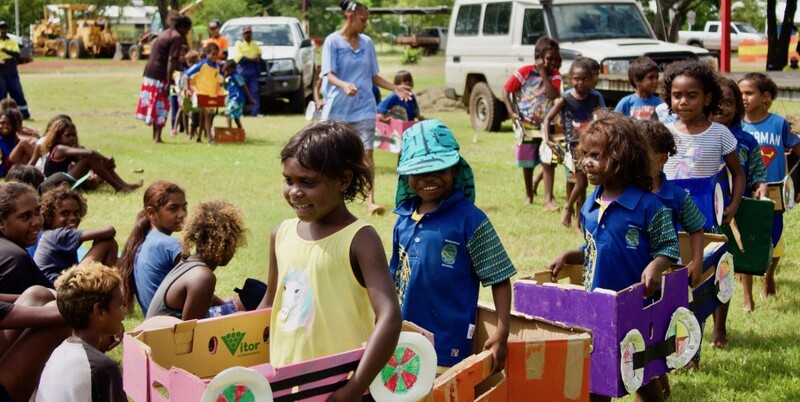 Barunga school children show off their own hand-made train creations during the celebrations. Image: Chelsea Heaney. Local Indigenous students undertaking courses in construction and civil construction at Batchelor Institute built the concrete base that now holds the tractor and used a crane to carefully position it on the platform, with the help of Batchelor Institute lecturers Alvin Tan, Liam McManus and Liam Fraser. Batchelor Institute Executive Director for Further Education Dave Curby attended the festivities and relayed Batchelor Institute’s continuing commitment to providing training and education to remote communities. “It is good that it (the tractor) is being preserved for future generations. It is a really good community spirit we have here and it is great to see the whole community come out to see this piece of history coming alive again,” said Mr Curby. Students undertaking this endeavour have not only worked towards improving their community’s infrastructure, they also will be awarded certificates in construction on completion of this practical and hands-on training course. 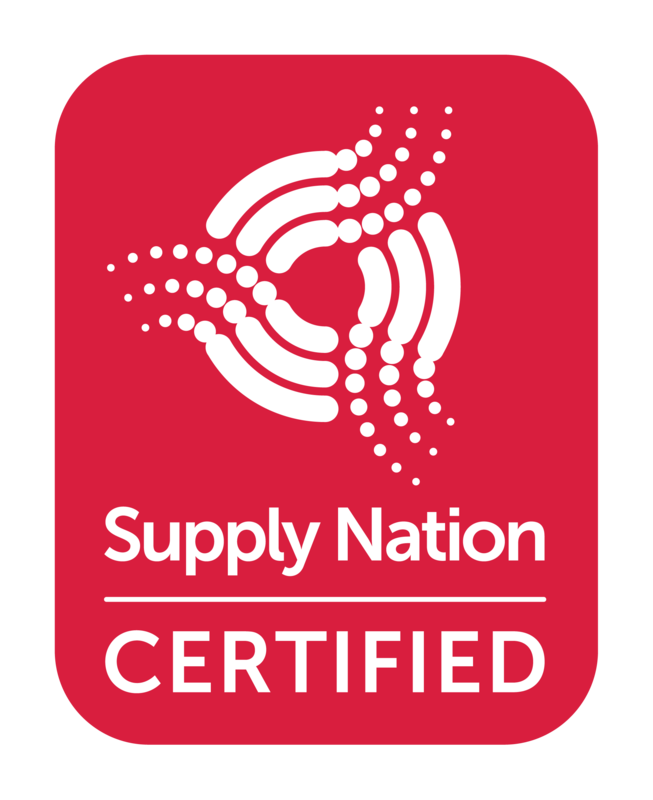 Delivering tangible benefits to both individuals and to the local area as a whole. Dancers from the nearby Beswick community invited the crowd up to dance with them. Image: Chelsea Heaney. Council Municipal Services Officer and Barunga artist Owen Henry will play a decisive role in the final step of the renovation by leading the team that will repaint the steam tractor in a combination of traditional colours and traditional Indigenous artwork. 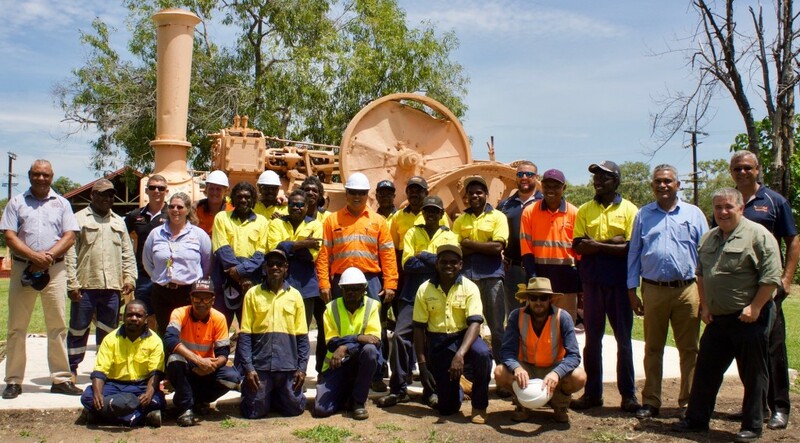 The 28-year-old said he was thrilled to be involved with a project that would preserve the role Barunga played in the Maranboy mine’s operation. “It’s been sitting there for so long, it’s going to be nice that it’s going to be turned into something good,” he said. 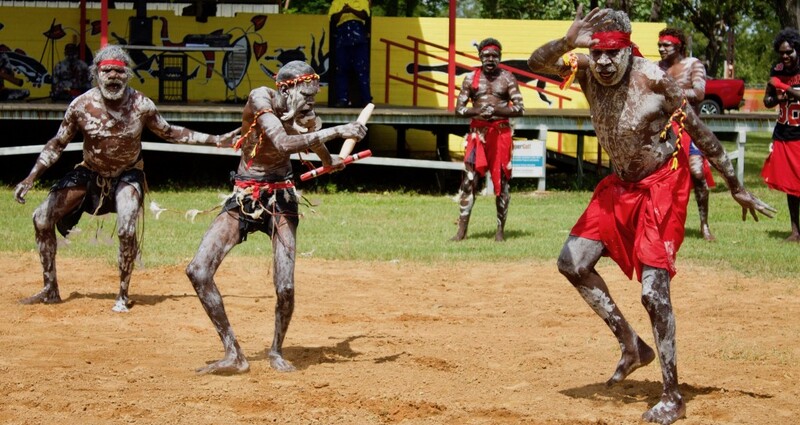 Locals celebrated with a BBQ and performances from the Beswick dancers and kids from the Barunga school.